Some Mizo singers and musicians have also announced plans to hold a mobile charity concert in state capital Aizawl. 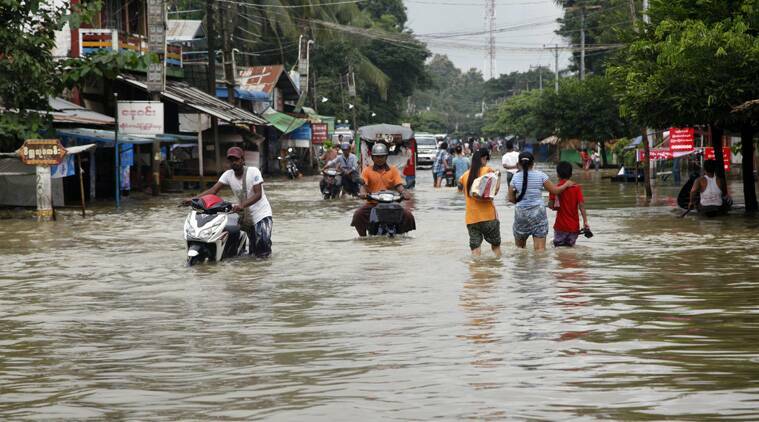 Various organisations and political parties in Mizoram have appealed for aid and prayers for ethnic Zo communities affected by floods and heavy rains in Myanmar as well as in Manipur. The Zofa Global Network and the Mizo Zaimi Insuihkhawm (MZI), a body of singers and musicians, have announced plans to hold a mobile charity concert in state capital Aizawl this week, proceeds from which would be sent to flood-affected ethnic Zo communities in the neighbouring country. Both the Mizo National Front and the Mizoram People’s Conference have issued appeals to residents of the state to pray for and contribute to aid meant for ethnic Zos in Myanmar who have been affected by the heavy rains and winds in the wake of Cyclone Komen. Various groups and political parties also met at the Zo Reunification Organisation’s offices on Monday to discuss how best to collect and send aid to the flood-affected regions, saying ethnic Zo communities have been severely affected by flooding in towns across Chin State and Sagaing Divisions such as Tahan, Falam, Kawlphai, Kalemiau and Halkha. Other groups such as the central committee of the Young Mizo Association have also called meetings to take part in the aid effort as pictures and videos on social media and news reports from across the international border continue to inform Mizoram residents about the natural calamity. Ethnic Zos are spread over Myanmar’s Sagaing Division, Chin State and the Arakan region.